Sunset and canoe on a lake in Algonquin Provincial Park in Ontario in Canada. A peaceful sunset: A canoe on a lake in Algonquin Provincial Park in Ontario, Canada. 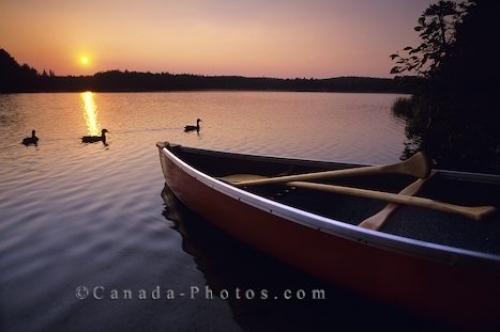 Photo of a sunset with canoe on a lake in Algonquin Provincial Park in Ontario, Canada.